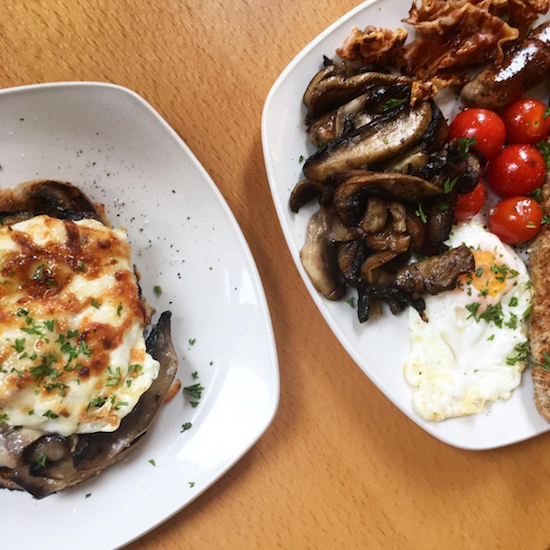 Emily's Recipes and Reviews | UK Food Blog | Leicestershire : the best places to eat and drink in leicester: my foodie favourites. 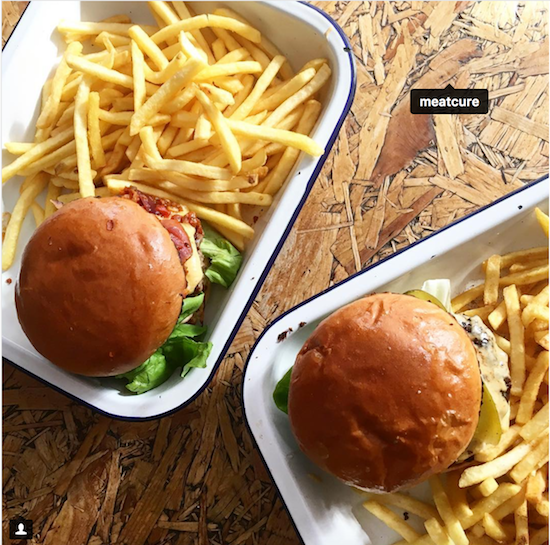 the best places to eat and drink in leicester: my foodie favourites. Leicester, how I love you. Living in the Midlands means I get a good pick of the bunch from the likes of Birmingham to Nottingham. An hour up to Sheffield, two hours to Leeds and a speedy train to London make it super handy for trying out the culinary treats that England has to offer. But in recent years, there's less reason to venture away from the LE postcode for foodie destinations. 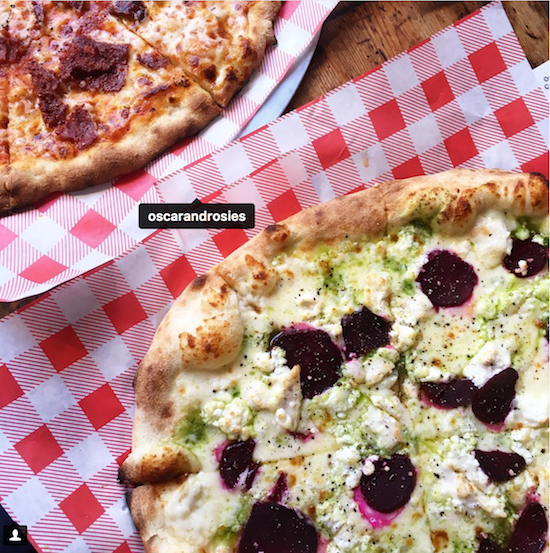 Independent burger joints, metre-long pizza offerings and local gins mean that the indie food and drink scene has become more mouthwatering by the month. There are a few old haunts that I've been visiting for over a decade now, as well as a few new foodie favourites to join the (ever growing) list. So where do I think are the best restaurants and bars in Leicester at the moment? The Orange Tree always gets a place in my heart. Quirky cocktails, trusty beers and higgledy-piggledy furniture are met with local art adorning the walls. The seasonal menu and bar snacks are pretty tasty too, with vegan and gluten free options available. The beer garden is rather lovely too, often hosting live music and BBQ nights amongst awesome art fromTom J Newell. Oh, and be sure to try the Toblerone Martini. An utterly adorable tearoom where I always send pals who are hoping to impress their nans. Head here for a lovely pot of tea, fresh scones and incredible brownies. The tearooms also do a pretty mean breakfast and their sandwiches come on the softest of bread. My favourite place for sushi in Leicester centre, by far. 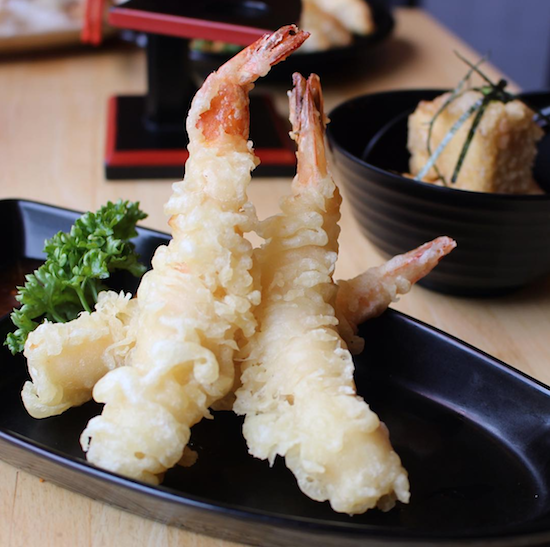 Tempura, maki, temaki, agadashi. I've probably had it tried and tested... I'm just working my way up to that sushi boat next. Another excellent beer garden just a stone's throw from The Orange Tree. Great for a little High Street bar crawl alongside The Cookie gig venue, this place has a friendly atmosphere and brilliant beer and spirit selection. I just love their colourful outdoor area and, oh my, all those tiles. First on my list of pizza favourites comes PETER. Speedy service, ice cool surroundings and flavoursome toppings make this arguably the best pizza in Leicester. With its Smeg fridges, movie poster feature wall, garden shed toilets and ping pong tables make this a fun and casual place to dine. It's possibly even too quick service should you go for a date, but then there are plenty of great bars nearby too. 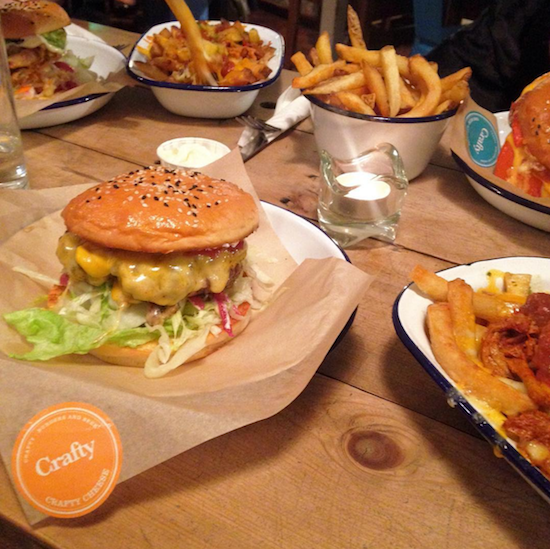 This list comes in no particular order, since Crafty might be my favourite ever place in Leicester. Countless Instagram snaps of this place prove this to be true. 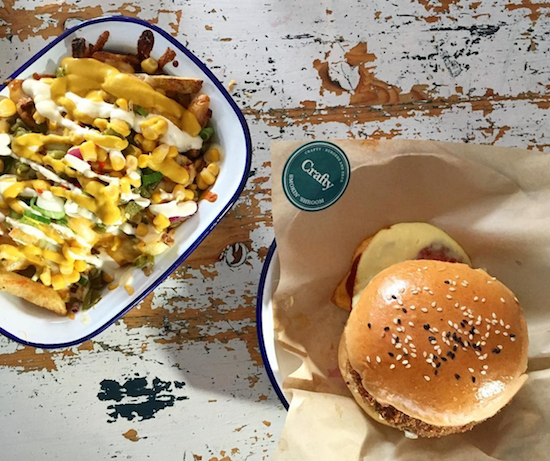 Juicy, pink burgers, pimped out chips and their pork belly poppers make every dish on this menu just a MUST. Even the veggie burger is incredible; a deep fried mushroom coated in cheese and, more cheese. This place is only open Weds-Sat so make sure you snap up a seat early. Delicious lunches, tasty brunches and a great wine list make this the perfect destination for foodies. Potter around the shelves of chutneys, condiments and drinks, create a local cheeseboard or pick up a few slices of charcuterie meat before settling down for a light lunch. I think it's fast becoming a favourite of mine for their vegetarian breakfast. Another must-try for pizza-holics. And if you can manage a metre, you go girl. 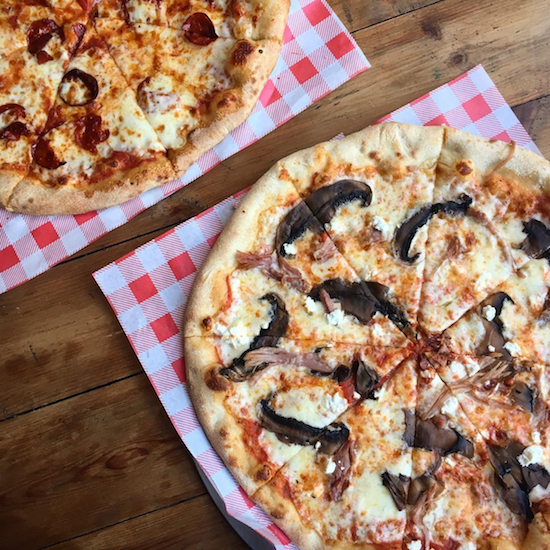 Vegans and dairy free diners will be please to know that many of the pizzas on the menu can be made gluten free, vegan and vegetarian. And this certainly doesn't mean they compromise on flavour either. Make sure you book for big groups, as it's quite a small venue. Although not an independent bar, BrewDog has been a welcome addition to the city. Obviously a hit with beer fans, I always find a new gin or cider to sample too. I particularly enjoy playing on their retro video games and board games. Mario Kart on an old Nintendo 64? Bring it on! I told you Leicester has got pretty good for burgers. With references to classic films and quotes on the menu, this industrial setting is another pretty cool establishment. I recommend the Royale with Cheese, washed down with one of their tasty peanut butter hardshakes. What do you think are the best restaurants and bars in Leicester? Have I named any of your favourites? In collaboration with JD Williams. Featuring their culotte jumpsuit, denim maxi dress and cat eye sunnies.